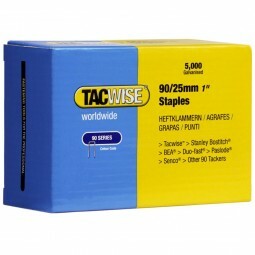 Heavy duty narrow crown staples. Suitable for the Tacwise D9040V and C9030VHH narrow crown air staplers. Ideal fixing for work on door framing, fencing, sheds and garden buildings assembly.